Every parent would always see to it that they give what is best for their children. Part of this is giving them the kind of room that they had always dreamed of. Kids-no matter how young their minds are- really has their own taste of stuff and of course, it would also be as childish as their ages but it could also show their wild imaginations. Because of this, parents do their best to give them their desire especially that these kids won’t be kids forever. Giving your kids their dream bedroom is something that they will treasure for a lifetime. They will surely be grateful that they will sleep and wake up in a room they truly love. Having a separate room for the kids is also a way of teaching them to be independent and responsible by taking care of their own stuff. Well, if they have a room full of adorable things they fancy, they will surely do everything to take care of it. A room that gives an active and personalized experience for a boy where in an elevated bed is used in order to have a play area under it. Giddy up kids! 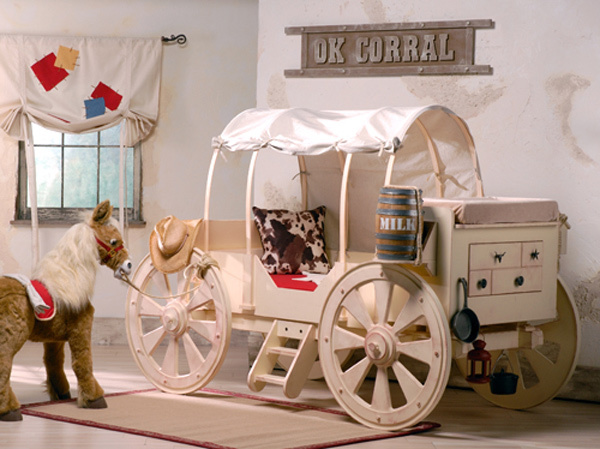 A chuckwagon bed is waiting for you in your cowboy themed room. Your kids will surely love this bedroom for they can both rest and play. The room’s theme is like an outdoor area with a tree and even cloud murals. 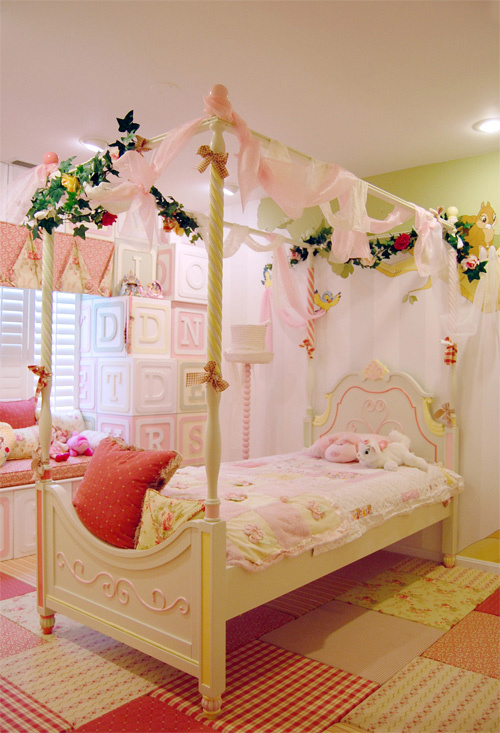 Let your little girl feel like a fairy princess by giving her a bedroom like this that has a unique bed and other fairy touches. 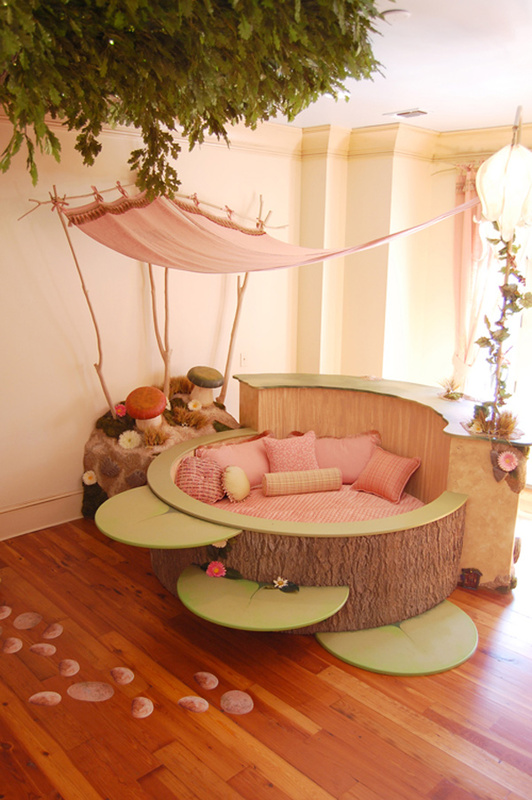 A whimsical bedroom that would still be loved by your kid even if she becomes a teen. It is based on the book series Fancy Nancy wherein Nancy believes that everything is better when it is fancy. 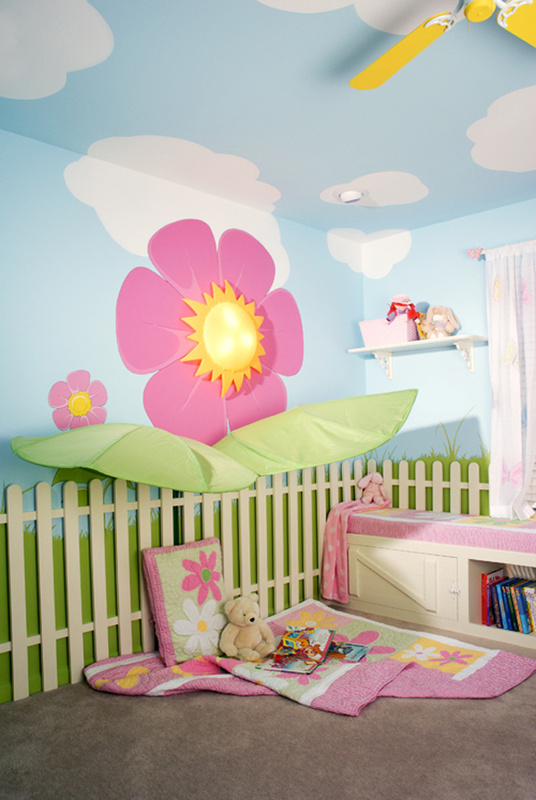 Bring the outdoors inside your little girl’s room by giving it a garden like touch with beautiful pink flowers. Big letter blocks were used to adorn this area of the room with lovely fabrics for the throw pillows. 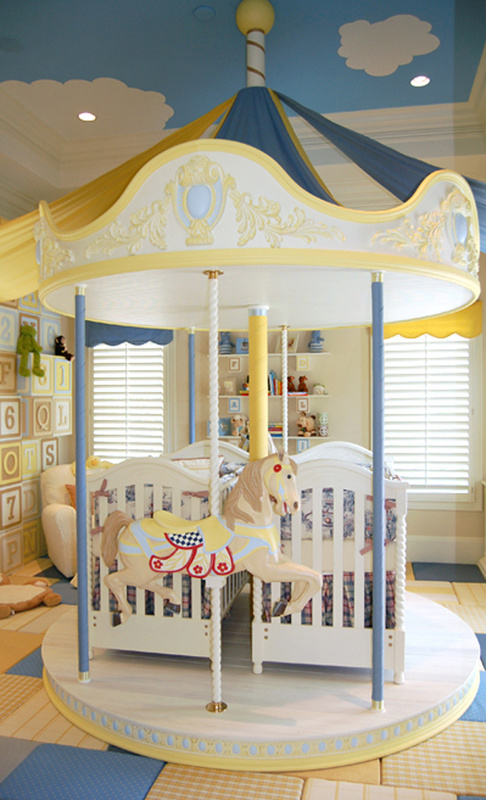 A magical carousel room of blue and yellow which was intended for twin boys. 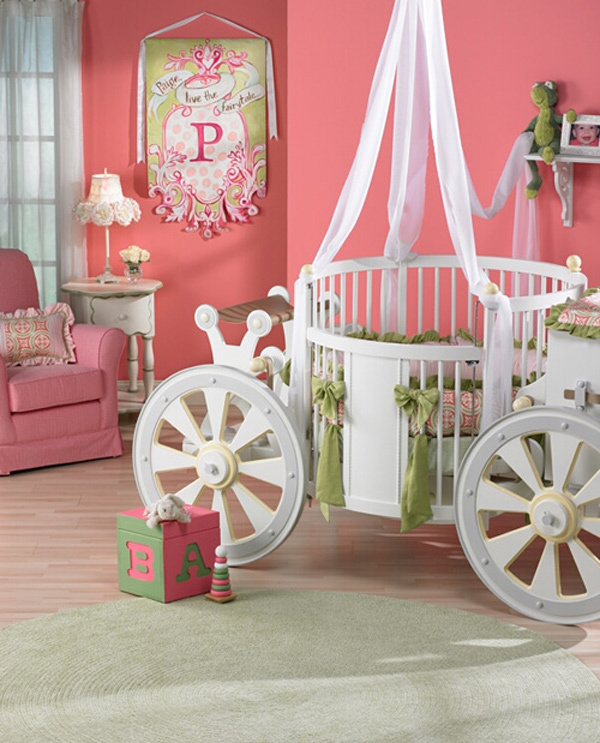 Your little princess will surely fit into this carriage bed with the entire bedroom that uses shades of pink, just right for your princess! Another lovely room fit for a princess that has upholstered floor, a pretty oak tree mural with woodland animals and a cozy carriage bed. 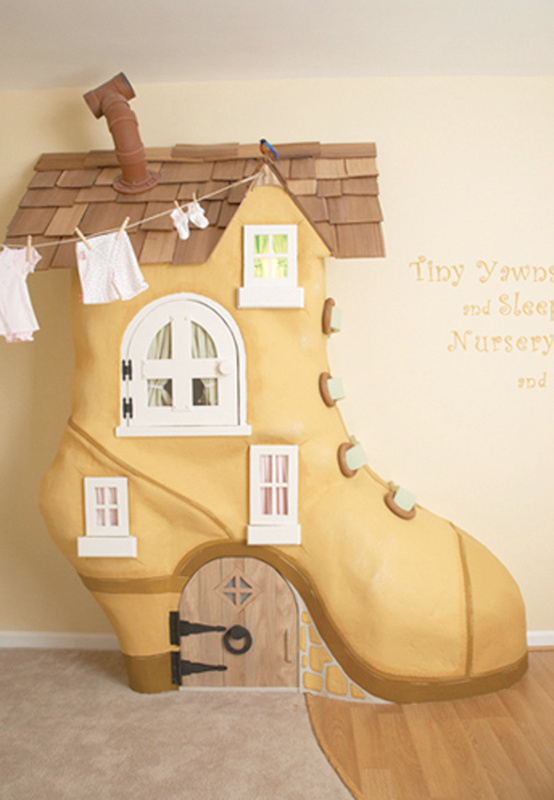 ‘There was an old woman who lived in a shoe’..there goes the nursery rhyme that pleased kids worlwide. This room has a Nursery Rhyme theme incorporating the cow that jumps over the moon and others. 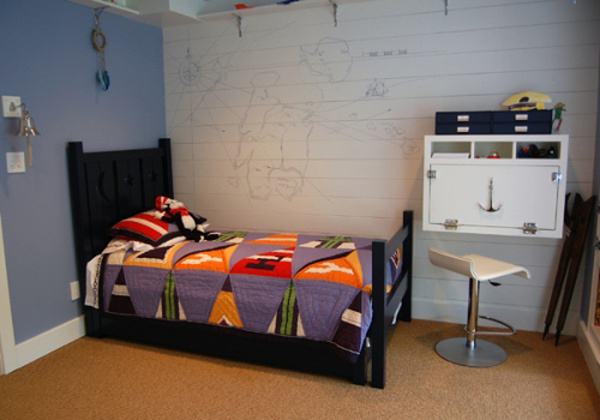 A young boy’s sailor room that is given touches similar to that of a boat. Aren’t they lovely? You were surely impressed seeing the variation of works from carriage beds to a huge shoe! You can actually request for customized furniture that will suit the theme of your kid’s room. You can even do all the art direction and Kidtropolis will give you what you really wanted. 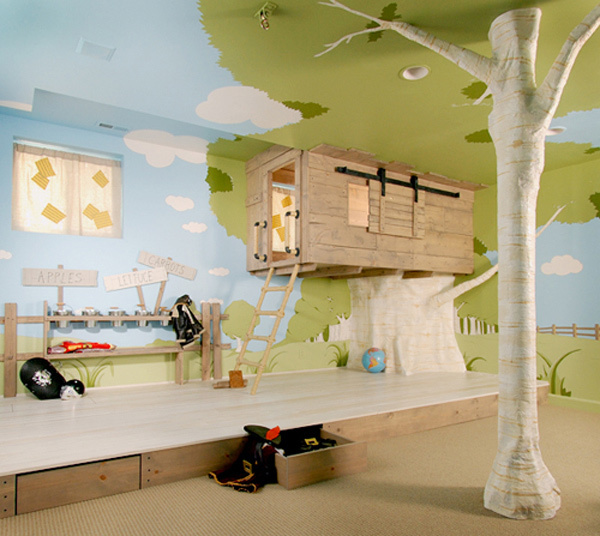 Your kids will no doubt love their rooms if theirs are like those shown above. Giving the children a room like this is another special way of saying ‘I love you’ and they can also feel how valuable they are. So, let their rooms speak for you as they cherish their childhood years. They will also have a good avenue for learning and fun with a bedroom filled with lovely and functional things. You might also want to design your kid’s bedroom and add some personal touch to it.